Water treatment is any process that improves the quality of water to make it more acceptable for you. So let me ask, what’s bothering you about your water? 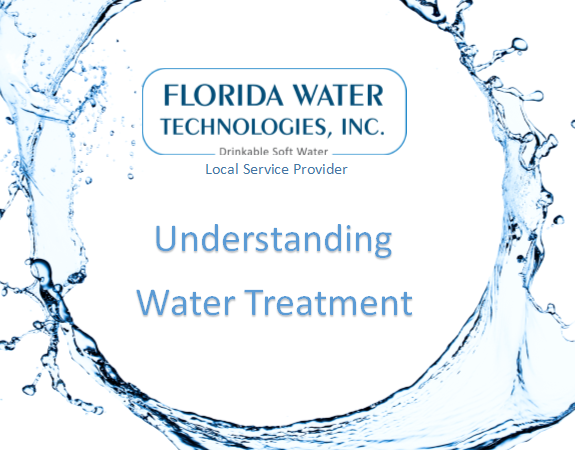 Water treatment is specific to a specific water supply. So, water treatment systems used in one part of the country may not be of use to us here in Jacksonville, Florida. Flint, Michigan was in the news recently because of lead contamination. Because of this, their water treatment needs revolve around treating water contaminated with lead. Therefore, these residents will need a water treatment system that removes lead. In their case, a water softener system would be of no value. What about us? Jacksonville Florida municipal water contains high water hardness levels and high chlorine levels. Therefore, our water treatment systems use components that remove hard water and also chemicals. First, our water treatment systems utilize ion-exchange water softeners (softening) to remove the hard water minerals. Secondly, activated carbon (filtration) is used to remove the chlorine. Water treatment systems in Jacksonville Florida that remove hardness minerals and chlorine will greatly improve your homes water quality. Consequently, there are many system configurations that provide solutions for our hard chlorinated water.